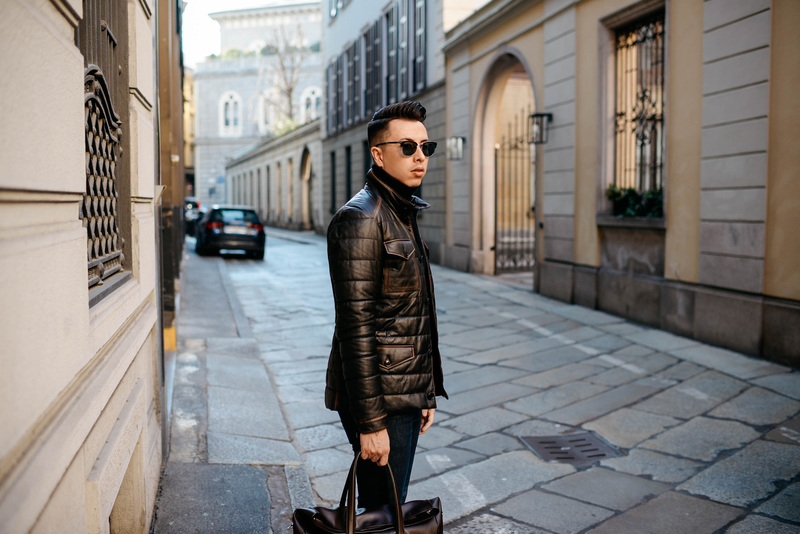 I flew into Milan a few days ago with Tod’s to celebrate the new Autumn Winter collection and Timeless Icons Exhibition. My favorite pieces without a doubt were the supple leather jackets and variety of sneakers. I usually lean toward the sartorial side of things, but the finishes on the jackets stole the show. I wore the Pash field jacket all day and I must say it was extremely comfortable and kept me really warm. Leather jackets tend to have that stiff feeling, but this one was truly one of a kind and had an inner drawstring to create shape for a chic and polished look. Since we’re already talking comfort, I have to mention the sneakers. WOW. From the second I slipped them on, I knew they were game changers. Even through the cobblestoned streets of Milan, these guys kept me going from day to night. Tod’s added the iconic pebble detail to the heel of the shoe which I felt was a nice touch to reflect their signature look.